This natural bar hanger measures 44 cms at its widest point. It is made from natural wood and has a chrome hook that can twist to suit displays. 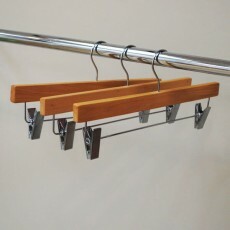 This natural bar hanger is a cheap way of making your garments look very classy. It has a timeless feel that will never go out of fashion. 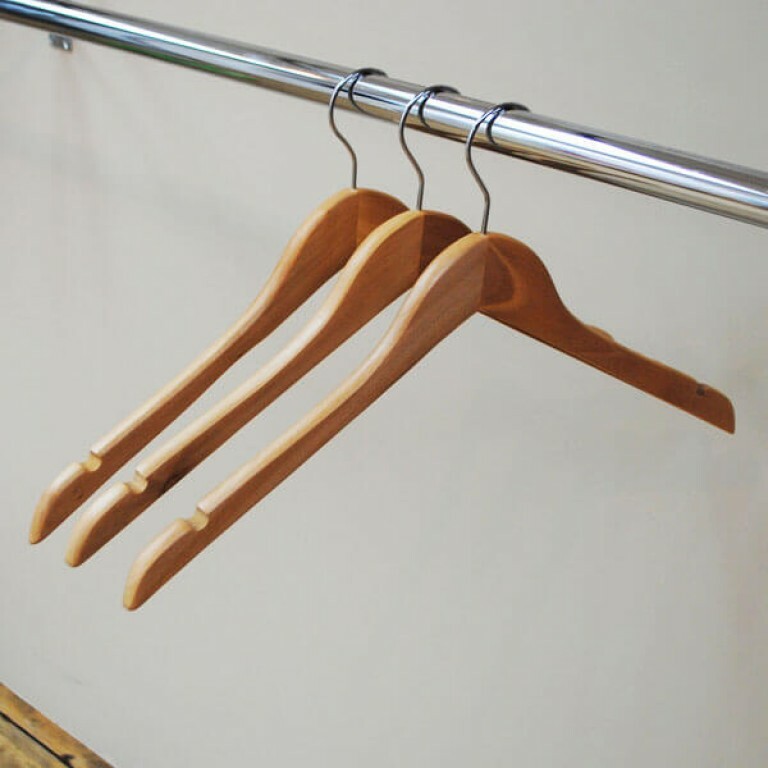 Here at Shopfittings Manchester, we have been importing this natural classic hanger into the country for years and have a great deal of experience in designing and making a great value for money hanger. 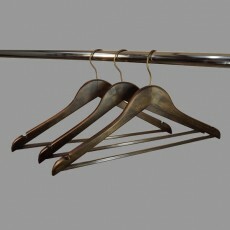 We supply this hanger all over the country to major stores and smaller boutique shops. 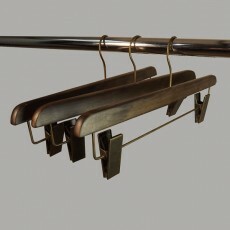 There is also a bar hanger and clip hanger in the same natural colour to complement the range. 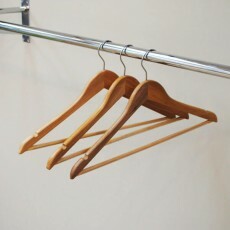 The natural no bar hanger can be bought individually or in a box of 50 with a wholesale saving. Superior quality matt white wooden coat hanger. Fitted with silver hook.